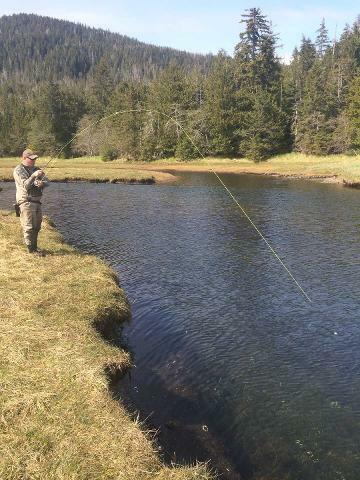 On a full day remote fly fishing trip you will have opportunity to fish remote rivers that are only accessible by boat or sea plane. 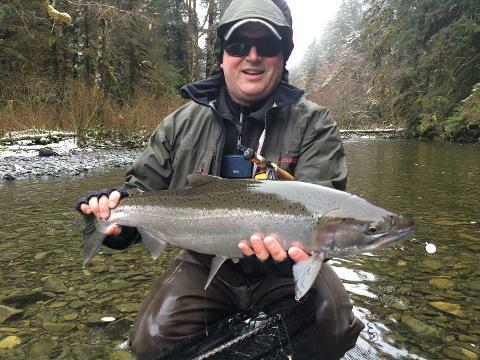 A custom built aluminum runabout is your mode transport to the river ensuring easy access to the shoreline and a fast comfortable ride. 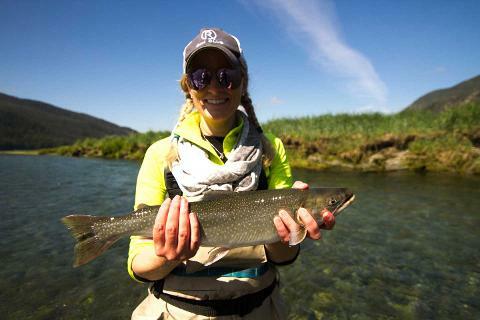 Depending on what river your guide decides is best to fish that day you will have approximately 6 hours to fish on this 8 hour full day excursion. 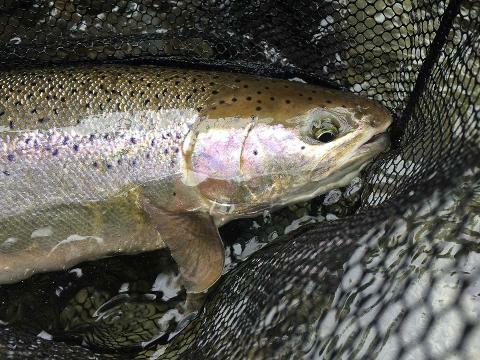 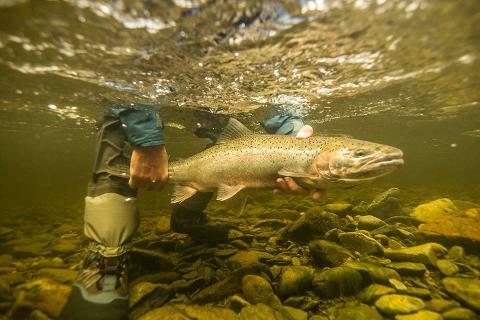 Your guide will take you to the rivers with the best fishing for species that are in season. 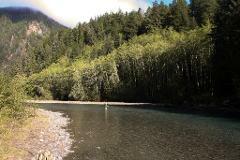 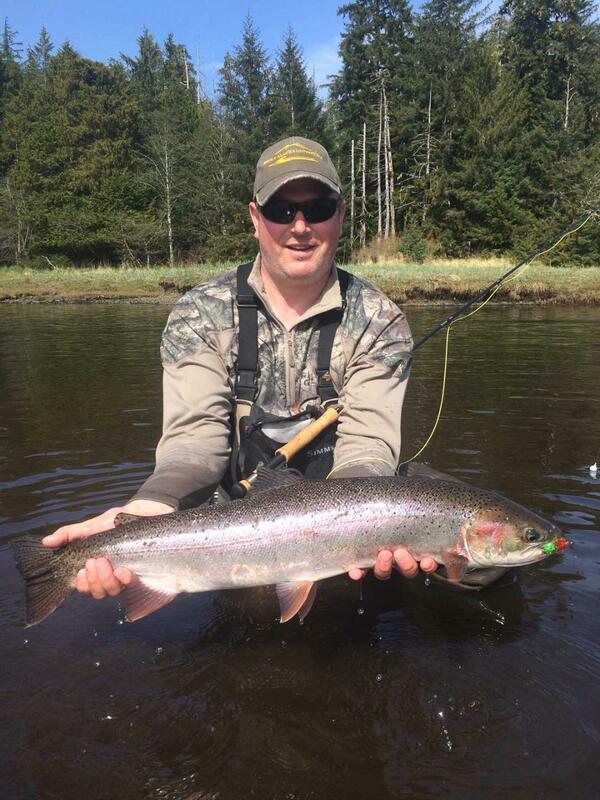 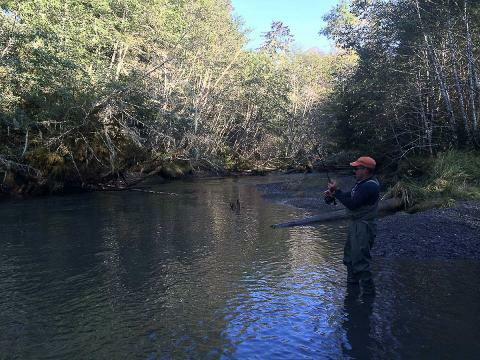 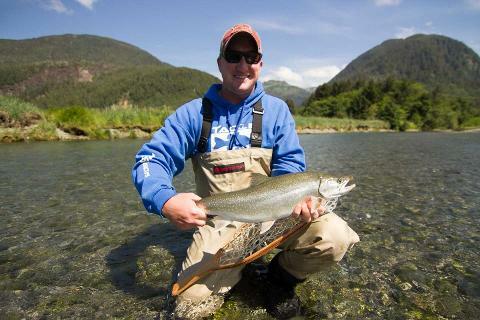 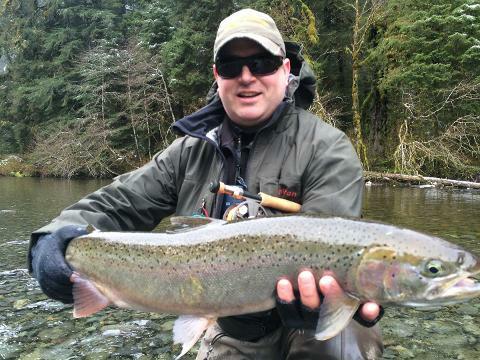 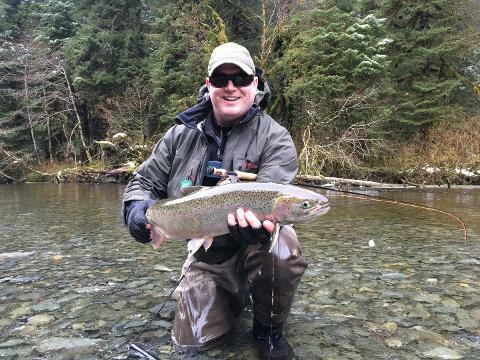 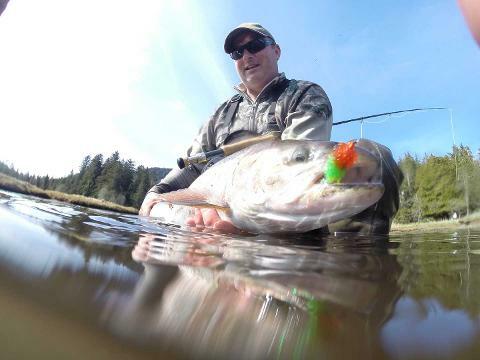 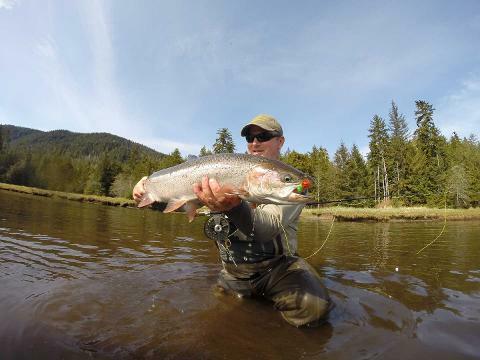 These excursions target Steelhead, Salmon, Trout, and Char, depending on what is running. 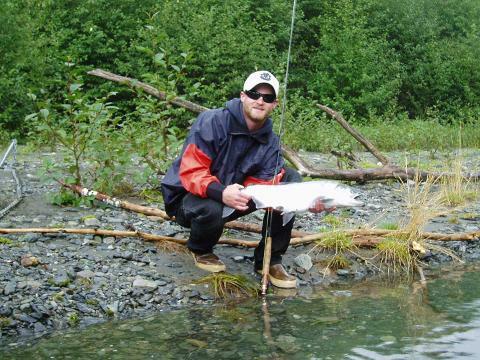 This trip includes all wading and fishing gear and snacks beverages and a shore lunch. 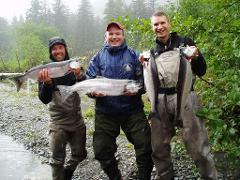 Not included is Alaska Sport Fishing License and fish processing. 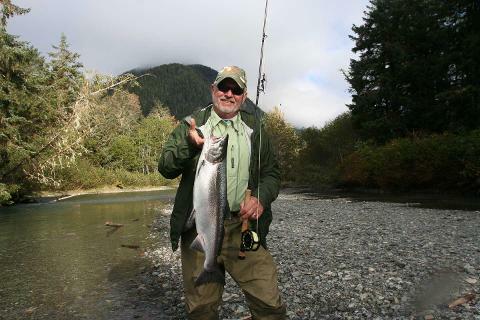 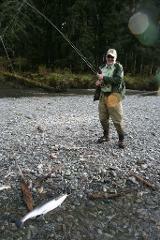 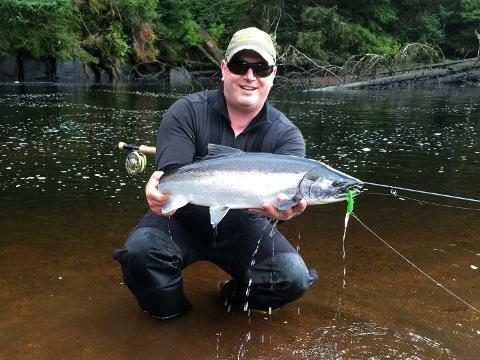 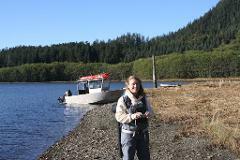 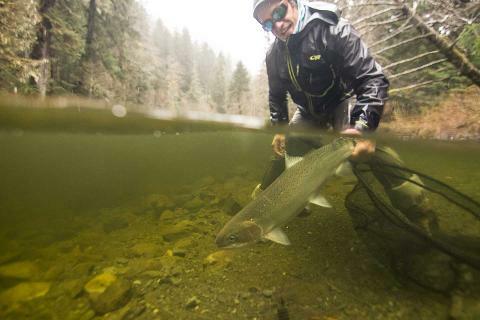 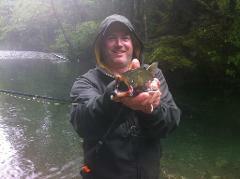 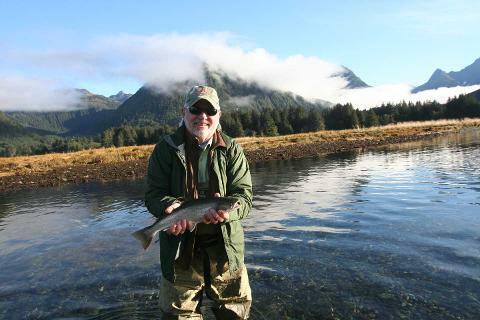 These trips are a great way for you to experience what fly fishing in remote Southeast Alaska is like. 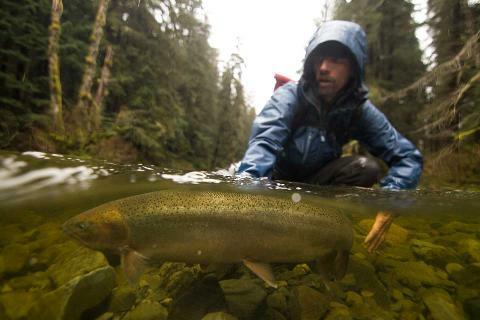 One day may not be enough you may find yourself wanting to go again and again. 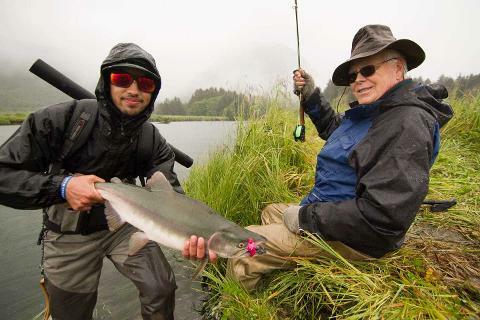 Here's to getting hooked on fishing.